Villagers in the newly created Sikongo district in Western Province have been severely hit by hunger due to non availability of relief food. And the district has not yet received farming inputs despite the onset of the rainy season. Villagers are depending on wild fruits and raw mangoes for food posing a health hazard on infant as they would be vulnerable to diseases such as malnutrition. Sikongo District Commissioner (DC) Kufuka Kufuka disclosed the development to ZANIS in an interview this morning. The DC said the Disaster Management and Mitigation Unity (DMMU) promised to assist the district with 100 metric tons of relief maize but to date nothing has come forth. Mr Kufuka was, however optimistic that something would be done soon as patriotic front (PF) under the leadership of Michael Sata is a listening government . 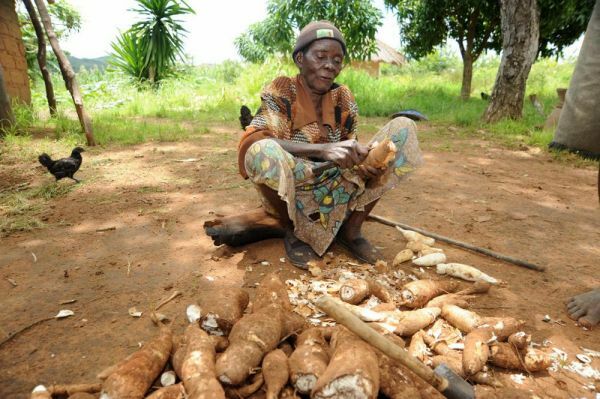 “During the 2012/2013 farming season, the district experienced floods that destroyed crops and we requested for some assistance from DMMU but nothing has come fourth, people are living on mangoes, cassava and wild fruits,” Mr Kufuka said. Meanwhile the DC also noted that the district had not yet received farming inputs despite the onset of the rainy season. Mr Kufuka predicted poor crop yields if the inputs would be delayed further. Recently, Western province Minister Josephine Limata said the delay in delivering farming inputs were as a result of poor road infrastructure in the district. Mrs Limata explained that transporter rejected the K10 per bag transportation fee because they wanted something higher considering the bad state of the road. She said government was engaged in talks with the transporters so that farming inputs could be brought to the district.